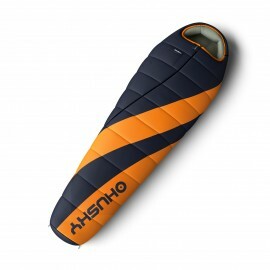 EXTREME SLEEPING BAG¨ENJOY -26ºC¨ MEANS HAVE A FUN... 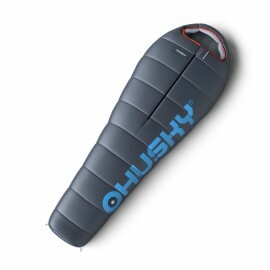 Enjoy sleeping bag is ideally suited to extreme activities that require light, but at the same time excellent equipment. Extreme Sleeping Bag LADIES MOTION -20ºC - Cool ladies sleeping bag... This ladies sleeping bag in Extreme line of Husky is a great fellow for all situations thanks its well-quality branded filling Invista QualloFil. PREMIUM SLEEPING BAG PROUD -29ºC - is our pride in between Husky sleeping bags... This is the top of the sleeping bags. Used filling combines the quality of international corporation DuPont, namely it is 7-channel Invista Qualofill which guarantees great volume called LOFT effect and new insulation 3D-LiteFill®. EXTREME SLEEPING BAG - Quality down from hollow fibres... A sleeping bag for the most demanding mountain expeditions that perfectly substitutes the comfort of a high-quality down fill with the seven channel hollow fibre Invista Quallofil. Extreme Sleeping Bag Emotion -22ºC - Pleasure from sleeping in warmth and safety... The Emotion is an alternative to the Enjoy sleeping bag. Extreme Sleeping Bag ESPACE -6ºC - A light and warm sleeping bag reports for duty... The lightest sleeping bag in the Husky Extreme product line, filled by Insufil Thermo hollow fibers, the Espace by no means falls below the high standard of comfort reached by the rest of the product line. Outdoor Sleeping Bag LADIES MAJESTY -10ºC - A young lady’s dream... The ladies’ sleeping bag, was developed mainly for women. It provides sufficient thermal protection for three season outdoor activity use. PREMIUM SLEEPING BAG -27ºC - The quality which is on the top... This sleeping bag is the brother of Proud -29°C and shares all its properties. There is a mixture of two kinds of insulation used. 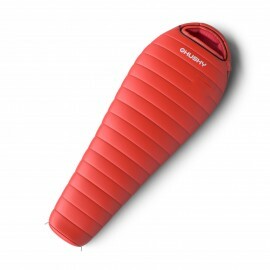 Outdoor Sleeping Bag MAGNUM -15ºC - Real caliber for bad weather... The Magnum sleeping bag from the Husky Outdoor sleeping line is for versatile use from spring to winter while wandering around in the great outdoors.